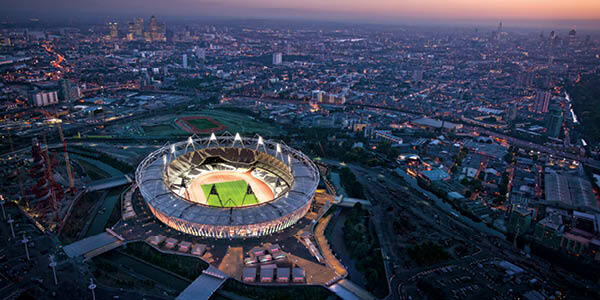 London's Olympic Park is one of 28 venues to host 302 Olympic events. Industry lobbies are working to ensure freight continues to move into and out of the city during the Games. For global TV viewers, the 2012 Summer Olympic Games in London will be a two-week parade of sports pomp and pageantry. But behind the scenes, a grittier story will unfold—how the rest of London gets on with life during a busy fortnight. The Freight Transport Association (FTA), a United Kingdom trade lobby, has been public advocate number one, working on behalf of the commercial sector to help identify ways to keep freight moving during the Olympics. "It is vital that commercial vehicle operators intending to deliver into London and other destinations over the next few months understand the restrictions and disruption the Olympics will cause, and plan around them," says Natalie Chapman, head of policy, Freight Transport Association, London.